This juxtaposition of technology and art is not a new one. To offset falling trends in visitors, museums have been leveraging mobile technology for the better part of this decade. For instance, one of the highest rated apps is the Met app, which contains the standard information but also offers advice on must-see exhibits, suggestions for families, and curated Staff Picks with clever names such as “art to make you smile, think, and LOL.” The Museum of Modern Art’s app directs visitors through the museum with maps and audio descriptions of the pieces as well as a full audio tour. Highlighted in Mashable, the Smithsonian apps were lauded as leaders in the museum technology field. The collection of apps provides visitors with audio tours in multiple languages, mobile tours led by curators and more. The head of mobile strategy at the museum indicates that the Smithsonian’s next move will be into the space of augmented reality or virtual reality. Thus, while the Brooklyn Museum’s Ask app is not revolutionary in itself, it does offer one feature that seems unique: the ability to interact with museum staff to ask questions anonymously. In designing the app, Sara Devine, manager of audience engagement and interpretive materials, posed the question, “What are our visitors really looking for from us?” In seeking answers to this question, the museum spent six months strategically gathering information. In the end, they found that what visitors wanted most was to speak with people on staff and get recommendations. Audio tours are very helpful when navigating through museums, but without anyone to answer questions quickly, curiosity and interest quickly fade. Or, visitors spend time looking up answers to their questions on their cell phones, rather than experiencing the art. 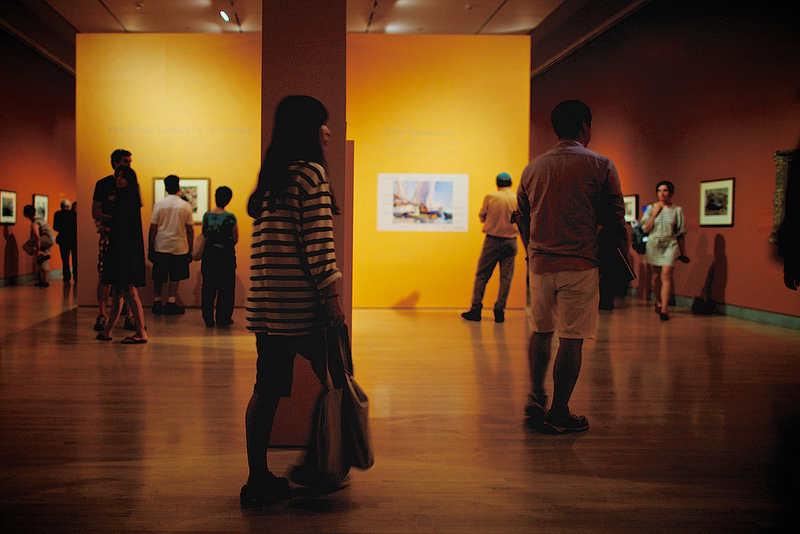 According to Devine, visitors report that they look more closely at the art in the gallery as opposed to on their cell phones. Thanks to the anonymity feature, museum historians indicate that visitors don’t apologize for asking seemingly trivial questions. Both results point to visitors attaining a deeper understanding of and appreciation for the pieces in the gallery, which achieves the overarching goal of the Brooklyn Museum engagement staff. A new technology grant will be shared equally by two major Philadelphia museums that allows for experimentation and hopefully generates lessons in enhanced visitor experiences that can be applied elsewhere.